A version of this column ran in the Arts Section ‘Salon’ in the Telegraph Journal on Saturday, April 19th, 2014. 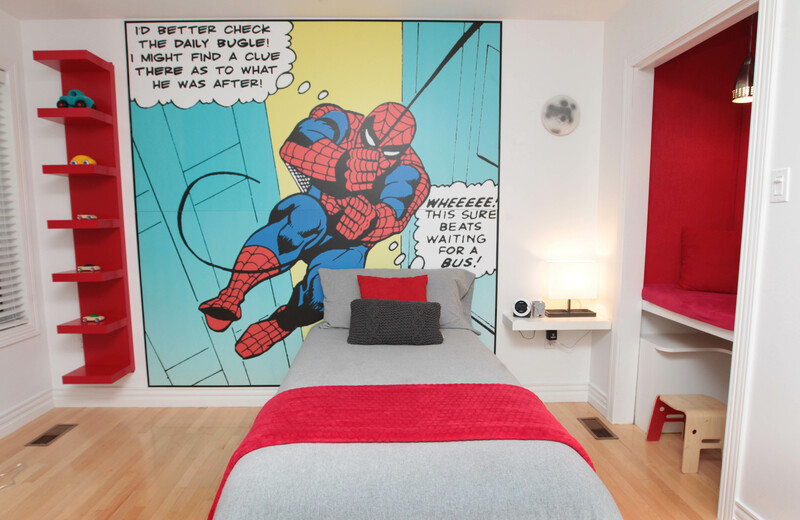 Thanks to a new bedroom transformation conceived by his mother, Anna Scichilone, five-year-old Massimo goes to sleep every night and wakes up every morning, under the watchful gaze of a life-sized super-hero, Spider-Man. Anna, who lives with her husband Craig in Rothesay, New Brunswick, is blessed with a strong eye for design. The home that she and Craig purchased 11 years ago was a standard, nondescript two-bedroom bungalow at the top of a quiet street. 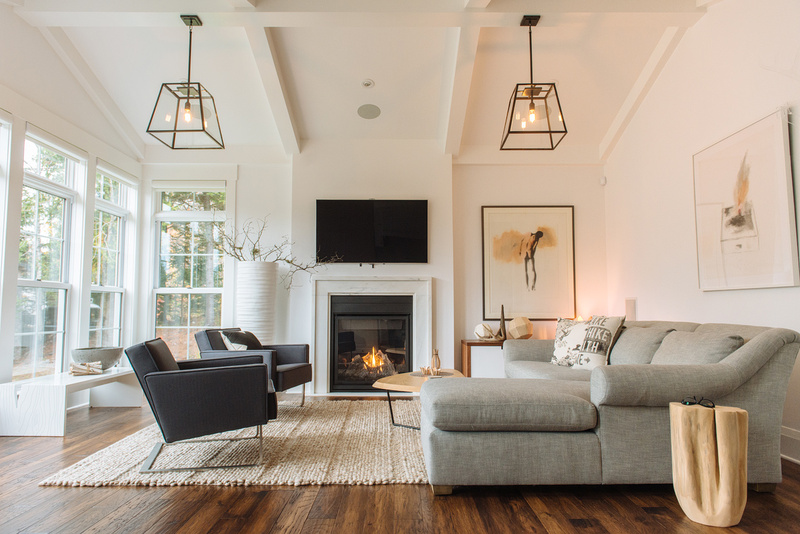 After converting the garage into a family room then building a large en-suite bedroom addition onto the back of the house, she set about transforming every room in the house, changing each from the typical and sterile to something warm, inventive, and contemporary. In his five years Massimo, for example, has seen three complete makeovers of his bedroom. Its first iteration was a nursery design. When the baby became a toddler Anna redesigned his space to reflect the interests of that stage. But when he reached the pre-school stage, Anna wanted to do something special for her son. She approached the space – a typical small suburban bedroom with one small window – she had basically two objectives in mind. First, to create a bright space, and second, to come up with a design that Massimo could live with for years to come. The design she eventually settled builds upon a base of white walls. Anna then added dramatic pops of warm colour, such as an Ikea red shelving unit, a stylish baby-blue modern plastic molded chair, a stepstool with a red base. Another thoughtful design moment was the manner Anna made use of one of the room’s two closets. By dropping the wooden slab down a few inches, then adding proper lighting, a step ladder, custom-sized foam seating and several shelves to house many of his favorite books, what had originally been a changing table for Massimo has been converted into a wonderful reading nook. The genius of this design is, courtesy of Anna’s careful planning, she has created a place that privileges reading; when her son’s friends come over, they all pile in and look at books rather than gravitating to a screen of some kind. Looking to the future, Anna sees this as a space that can easily be converted into a desk when it comes time for homework. It took Anna and Craig two weekends to complete their son’s room makeover. When he was shown the final transformation, his only word was “Woooooooooweeeee.” Three months later, his ‘Spidey senses’ are apparently still tingling.